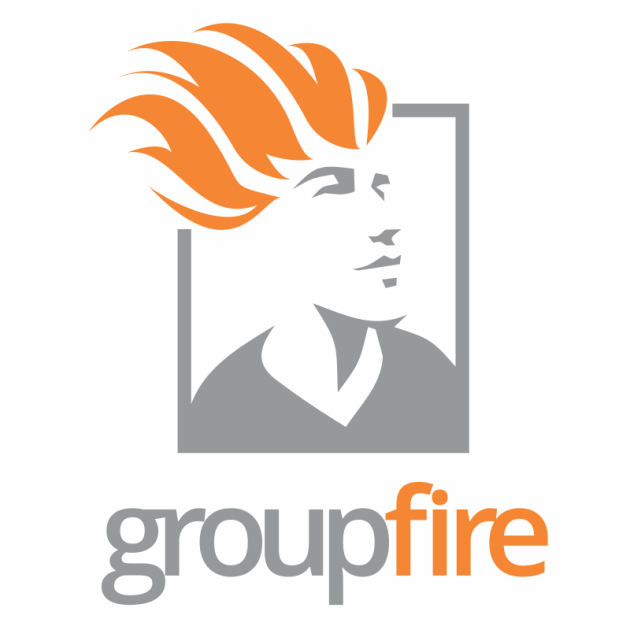 GroupFire’s Admin Panel and Member Application work seamlessly together to help you create and manage a custom branded world for your organization. When your members sign up for an account, they will gain access to your organization’s Member App. The Admin Panel allows you to completely customize the Member app to fit your organization’s unique needs and to easily communicate with your members. Communicate with Members through Announcements, Events Notifications and in app Chat. View insights to see how your organization is engaging! Access the Directory to easily find contact information and relevant details for any Member in your organization. Setting up your profile is a great way to network with other members. Here you can add both personal and professional info as well as links to all of your social media. We highly recommend adding a profile photo to make it easy for other members to recognize you and start engaging. 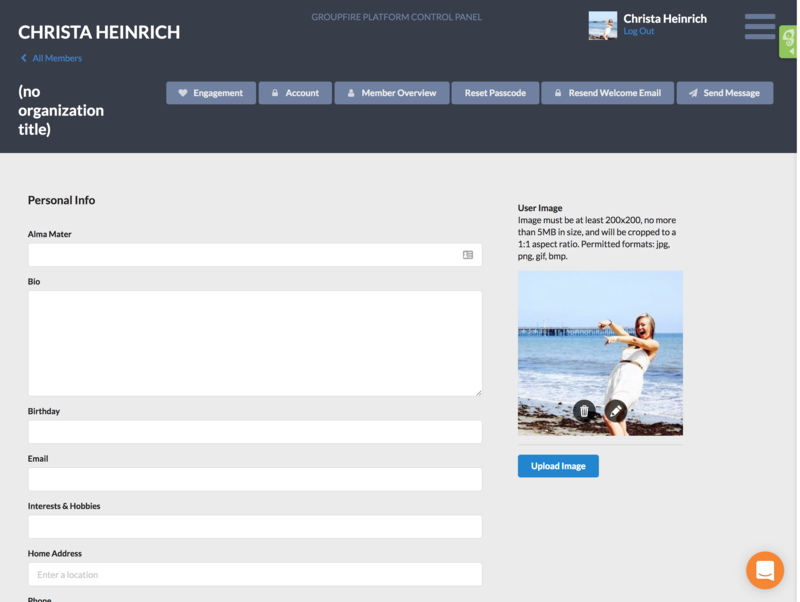 Your profile will appear in the Member Directory and be viewable by anyone in your organization! Customize your app in the App Configuration section of the Admin Panel Settings. Here you can control general settings as well as default images/gifs for various sections of your app. Creating groups is a great way organize communication within your organization. Groups are collections of members often formed around industry, location, topic, etc. Members can be added to a Group(s) when they are initially invited to sign up for the app or anytime after. Next, you’ll want to add your members to your app so you can engage with them and start tracking their activity. You can add new members individually or import a group of members as a CSV. Note: you can add members to groups when you invite them to sign up or add them after directly from the Member List. Create an announcement to welcome your members! Announcements live in the Announcement Feed and are a great way to send important information to your members that you they won't want to miss! Now that your account is all set up, you're ready to start engaging with your members and tracking their activity. Create Events, Notifications and Announcements to keep your members up to date on important info! Create a Report to capture specific activity and email it to yourself and stakeholders! Have any questions? Explore our FAQs or live chat us using the orange speech bubble icon in the lower right hand corner of the screen!